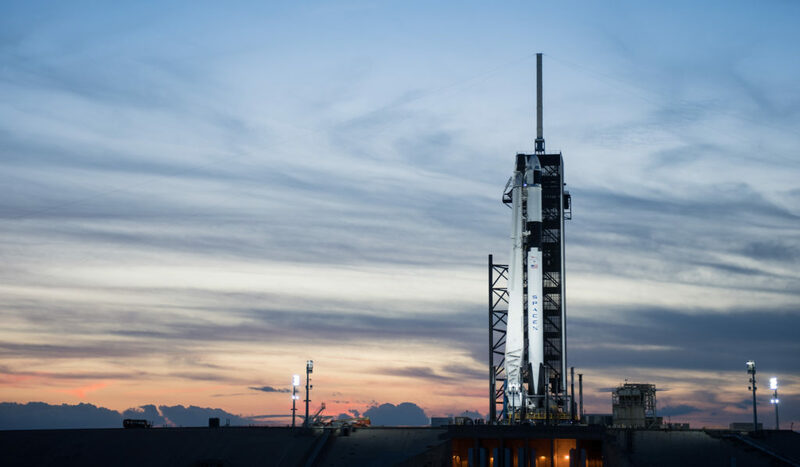 The SpaceX Crew Dragon spacecraft is vertical and set for a 2:49 a.m. EST Saturday launch to the International Space Station on the company’s Falcon 9 rocket from Launch Complex 39A at NASA’s Kennedy Space Center in Florida. It will be the first time in history a commercially-built and operated American crew spacecraft and rocket launches from American soil. The Demo-1 mission, SpaceX’s inaugural flight with NASA’s Commercial Crew Program, will provide the teams an end-to-end flight test to ensure the spacecraft and systems operate as designed before launching with astronauts. Launch coverage on NASA TV and the launch blog will begin at 2 a.m., March 2, followed at 4 a.m. by a post-launch news conference with representatives from NASA and SpaceX. The launch and post-launch news conference also will air on NASA TV. U.S. Air Force 45th Space Wing meteorologists continue to forecast an 80 percent chance of favorable weather at liftoff.